Our full-service pharmacy is located inside our medical clinic. Find a map and our current hours on the Hours & Location page. To request a refill of your prescription, you can call the pharmacy at 509-335-5742. Provide your name or student ID, name of the medication(s) and prescription number if available. If calling after hours, you may also leave a voicemail with your information and we will refill your prescription the following business day. You can also request to refill prescriptions through the Patient Portal. When you log in, click the Refills button. Then select New Message and follow the instructions to submit your refill request. We will call the other pharmacy location and complete the transfer. You can also request to transfer prescriptions to our pharmacy through the Patient Portal. When you log in, click the Refills button. Then select New Message and follow the instructions to submit your transfer request. To transfer your prescriptions from us to another pharmacy, you will need to call the pharmacy location where you would like them transferred and provide them with your information and the name of the medication and our prescription number if available. Ask them to call the Cougar Health Services pharmacy at 509-335-5742 to complete the transfer process. If you are signed up for text notification, we will send you a text when your prescription is ready and you can pick it up at your convenience. You can sign up for text notification in person or over the phone at any time, whether you’re filling your prescription for the first time or transferring it from another pharmacy. While we try to take care of our patients as quickly as possible, the time it takes to fill prescriptions can vary depending on circumstances. Usual times are between 15-20 minutes. We accept most prescription drug insurance plans and the graduate/international student plans. We also accept cash, check, Visa, MasterCard, and Discover. 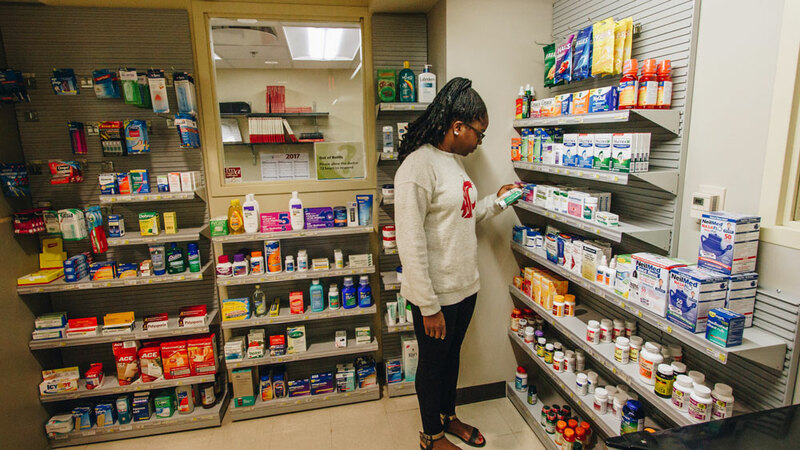 Our pharmacy in Pullman can fill and mail maintenance medications to students who have a WSU graduate student assistant insurance plan or international student insurance plan who are not located in Pullman. We can special order products for you and in most cases have the item the next business day.